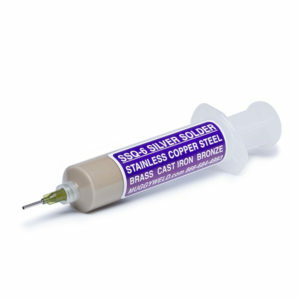 SSQ-6 is used to join two copper plates–just push the plunger on the syringe and add the amount need for the solder joint. Copper has a variety of uses, it can be found in water piping in every building or home in North America. Copper is also used in A/C units, refrigeration, and is a good conductor of electricity.